Vestavia Hills Beautification Board President Anne Boston and Dogwood Luncheon coordinator Gina Henley, from left, with Vestavia Belles Lily Henley, Amelia Williams and Avery Richardson. Journal photo by Jordan Wald. The Vestavia Hills Beautification Board will welcome a familiar face on stage at the annual Dogwood Luncheon on April 5. Collins McMurray will provide a vocal performance to guests gathering in Vestavia Country Club’s ballroom. McMurray recently was crowned Miss Alabama Outstanding Teen for 2018, which she earned March 4 along with receiving the Overall Highest Academic Award. 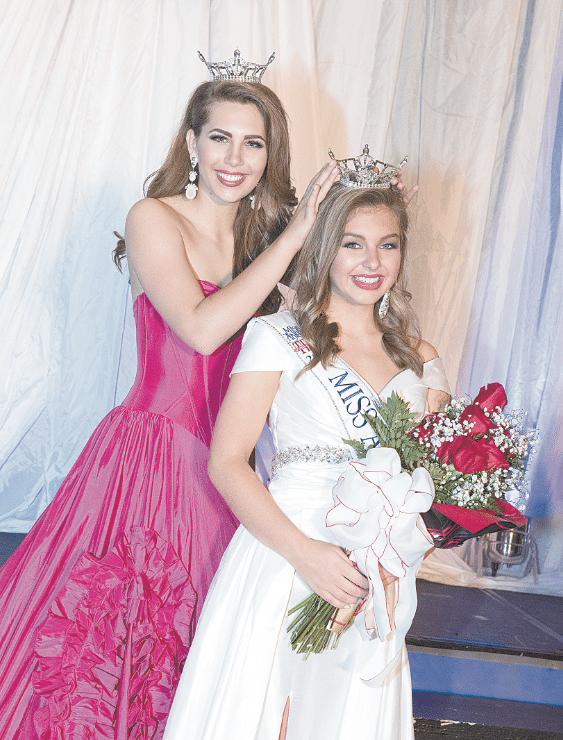 As a part of her participation in the Miss Outstanding Teen Pageant, McMurray chose a platform issue to advocate throughout her campaign for the crown and beyond. Her chosen platform is the Importance of Arts in Education, which can be seen throughout her own schooling. Collins McMurray will provide a vocal performance to guests gathering in Vestavia Country Club’s ballroom. McMurray, a junior at Vestavia Hills High School, recently was crowned Miss Alabama Outstanding Teen for 2018. Photo special to the Journal. The daughter of Dan and Melissa McMurray, she has grown up in Vestavia Hills and currently attends Vestavia Hills High School, where she is a junior. As someone who has developed a love of dance and singing, having the opportunity to pursue those two passions at VHHS is an opportunity that she advocates for all schools through her platform. In her high school career, she holds membership in the VHHS Rockette Dance Line, the Just Singin’ Acapella Group and the Honors Choir. Additionally, she is a member of the German National Honor Society, Mu Alpha Theta, FCA and Youth Leadership. 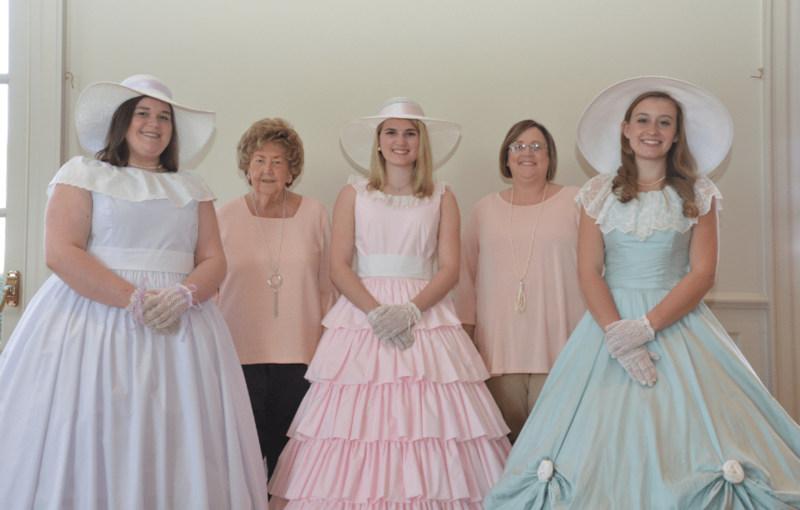 Her participation in the annual event is one that is made even more special because of her strong connection to the Beautification Board, as she currently serves as a Vestavia Belle. The Vestavia Belles are one of the many initiatives of the beautification board, giving Vestavia Hills High School students an opportunity to serve as hostesses for the community and take an active role in community service projects. Showcasing her talent, McMurray will sing at the luncheon. The board’s own Katherine Taylor also will present her own representation of what arts in education has meant to her. McMurray will perform her winning piece “Somewhere Over the Rainbow,” as well as a selection of other songs in her repertoire. In addition to her crown, trophy, pin and title; McMurray received a variety of scholarship offers to help pursue her collegiate career following high school. Next up, McMurray will be travelling to Orlando in July to participate in the Miss America’s Outstanding Teen pageant, for which she has received an all-expenses paid trip and wardrobe assistance. Holocaust survivor, speaker and author Rosemarie Reinhard Musso will serve as keynote speaker at the luncheon. Her memoir incorporates memories of her childhood growing up in a small mountainside village in Nazi Germany during WWII. It is dedicated to her father, Richard Reinhard, a dentist. Reinhard treated many patients brought to him by the Nazis from a nearby coal mine. Musso’s family treated each patient with compassion and fed them, and as punishment, her father and the entire family was sentenced to death. But just hours before the family was sentenced to hang, United States troops occupied their village and saved Musso and her family. Musso moved to Birmingham in 1961 after marrying a U.S. Army Officer. She gave birth to two daughters, learned English, worked in several law firms, volunteered with local TV productions and in 2006 achieved a long-awaited goal of obtaining a law degree. In addition to words from Musso and music from McMurray, luncheon festivities will include an invocation by former Mayor Sara Wuska, richly-decorated tablescapes, door prizes, a silent auction and members of the Vestavia Belles, wearing their signature antebellum gowns as they greet guests. The annual Dogwood Luncheon will begin at 11:30 a.m. Tickets to the luncheon are $25 and must be purchased in advance. For more information, contact Gina Henley at 910-4837 or ghenley401@charter.net.